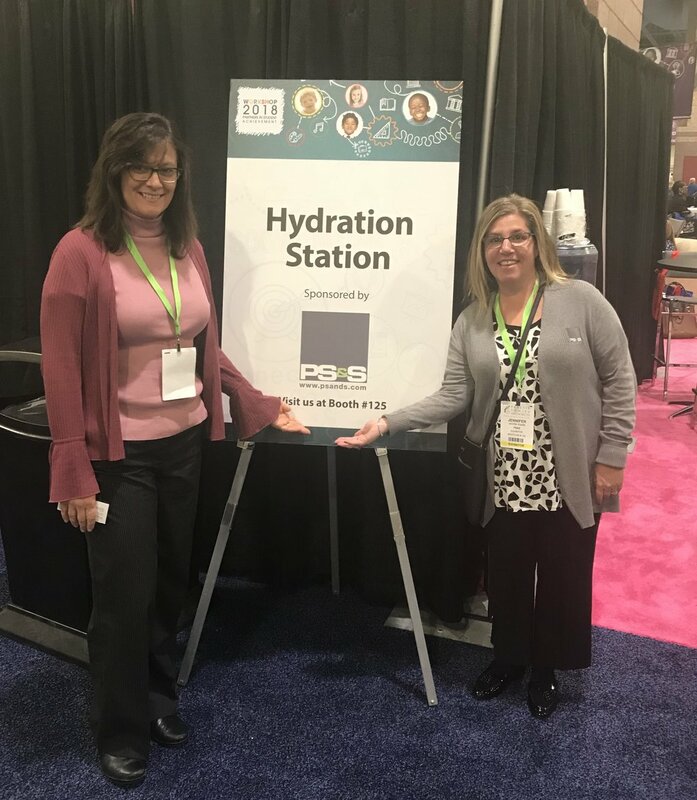 PS&S attended the 2018 NJSBA Workshop that was held at the Atlantic City Convention Center from October 23rd to October 24th. On October 17th, 2018, two PS&S projects were awarded the New Jersey Alliance for Action “2018 Distinguished Engineering Award.” The projects are the iPark Mixed-Use Development in Edgewater and the Former Harrison Avenue Landfill Redevelopment in Kearny. On Friday, October 12th, PS&S joined the 5th Annual Ride & Walk for Ben in Wallingford, CT.
Scott Salmon and Jim LaMaire participated in the 15 mile Tyler Mill Route known as The Ride For Ben's "classic" route. Harry “Ted” Osborne has joined the senior management committee as senior director of the company’s Building Services Group. He will report to John Sartor, the CEO and president. In addition, Steven Ewing, Russell Cipolla and Bill Schneider have joined the company as senior directors, reporting to Joseph Fleming, first executive vice president of PS&S Land Services Group. Sartor said the hires will be key additions. The firm, which has additional New Jersey offices in Newark, Wall, Cherry Hill and Atlantic City, also has two offices in New York and one in Puerto Rico. Osborne, who will be based in Warren, brings 40 years of architectural design and planning experience to the Building Services Group, Sartor said. That group works collaboratively with the Land Services Group to provide strategically targeted solutions to clients across all aspects of design and engineering, including civil engineering, permitting and survey work. Responsible for every aspect of his major assignments, Osborne’s involvement in architectural design encompasses significant domestic and international expertise producing creative design solutions for Fortune 500 companies with a strong commitment to integrity, service, collaboration, innovation and design. Prior to joining the company, Osborne was at Gannett Fleming. 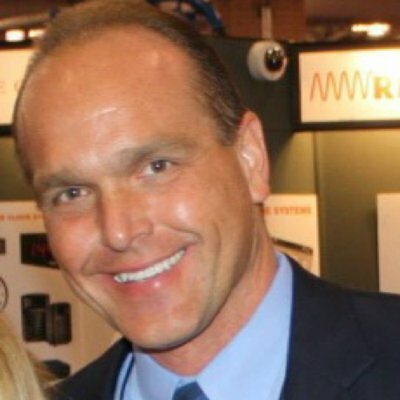 Osborne’s previous work includes architectural design and engineering solutions for pharmaceutical manufacturing plants, research and development labs, urban redevelopment programs, corporate headquarters buildings, health care, education and as project principal developing infrastructure protection measures due to Superstorm Sandy damage. Cipolla, who will be based in Cherry Hill, will head up the new bridges and roads division in the Land Services Group. His more than 30 years of planning, design, construction and project management will expedite the bridge and road engineering needs for all of the company’s clients, Sartor said. Ewing, who will be based in Atlantic City, strengthens the company’s ability to provide state and federal impact assessments and coastal permitting guidance. Sartor said his more than 40 years of administrative and technical experience will help the company’s clients expedite their environmental needs. Schneider, who will be based in Yonkers, New York, will bring more than 30 years of professional engineering experience to a wide variety of projects, including major redevelopments throughout Westchester County, Sartor said. Schneider brings decades of experience in water quality protection, land development and building code compliance for large developments such as mixed occupancy developments, shopping centers and large multiple dwellings, Sartor said. Schneider also has experience in the public health arena overseeing approval of construction plans for sewers, wastewater pump stations, sewage treatment facilities, individual sewage disposal systems and evaluating water quality throughout Westchester County. 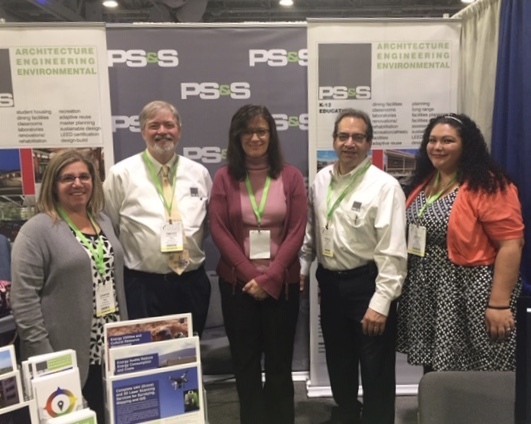 PS&S, a Warren-based architecture, engineering and environmental consulting firm, announced several key hires Monday, including the addition of Harry “Ted” Osborne to a key position on its senior management committee as senior director of the company’s Building Services Group. He will report to president and CEO John Sartor. In addition, Steven Ewing, Russell Cipolla and Bill Schneider have joined the company as senior directors reporting to Joseph Fleming, first executive vice president of PS&S Land Services Group. Based in Warren, Osborne brings 40 years of architectural design and planning experience to the Building Services Group, which, according to the company, works collaboratively with the Land Services Group to provide strategically targeted solutions to clients across all aspects of design and engineering, including civil engineering, permitting and survey work. Prior to joining the company, Osborne was at Gannett Fleming. Throughout his career, he has worked on projects for such state entities as New Jersey’s Department of Treasury, Department of Transportation, Turnpike Authority; Delaware River Joint Toll Bridge Commission; and New York State Thruway Authority. Based in Cherry Hill, Cipolla will head up the new bridges and roads division in the Land Services Group, where he brings more than 30 years of experience in planning, design, construction and project management. Ewing has more than 40 years' experience working with regulatory agencies to help clients expedite their environmental needs. He is based in Atlantic City. Schneider, who works out of PS&S’ Yonkers, N.Y., office, is a professional civil engineer who brings over 30 years of experience to a wide variety of projects including major redevelopments throughout Westchester County. PS&S designed the Haddon Heights Dell project and the groundbreaking ceremony was held on Wednesday, October 10th. Hany Hanafy and Marge DellaVecchia attended to support Camden County Freeholder Jeff Nash and Parks Director Maggie McCann Johns in announcing and kicking off the project. On September 27th, PS&S shared a table with SJP Properties at the 2018 ASCE North Jersey Annual Awards Dinner held in Fairfield, NJ. 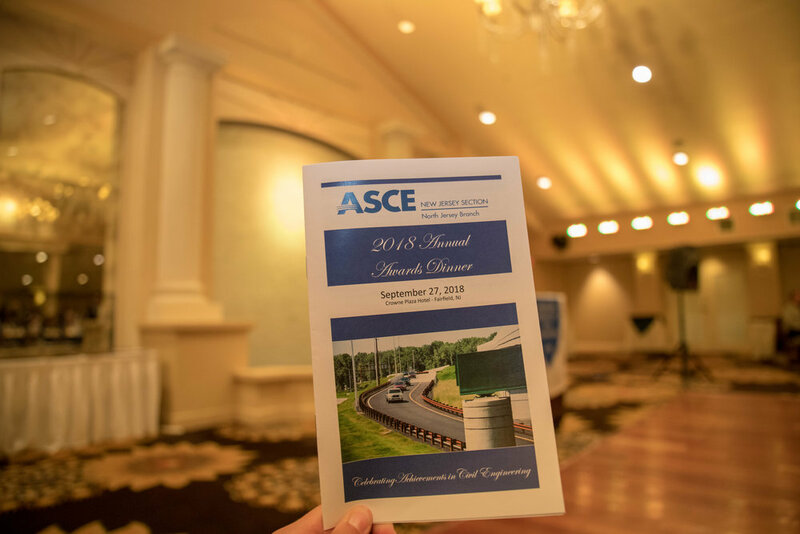 “The Modern” in Fort Lee - where PS&S is the site/civil engineer of the project - received Honorable Mention For Project Of The Year by ASCE North Jersey Branch for 2018. PS&S’s Joe Fleming also introduced the Government Engineer of the Year Award recipient. The Genoa, Italy, bridge collapse in August that killed 43 could portend tragedies in the United States as well in light of its own deteriorating infrastructure and inadequate investments in maintenance and improvements. And design professionals, including architects and engineers, could find themselves facing significant liability if they fail to take advance defensive measures, experts warn. Many experts point to the 2017 biennial report by the Washington-based American Society of Civil Engineers, which gave U.S. infrastructure an overall D+ rating and concluded that 9.1% of the nation’s bridges were structurally deficient in 2016. They cite the 2007 bridge collapse in Minneapolis that killed 13 and the under-construction pedestrian bridge in Miami that collapsed in March, killing six, as examples of these types of incidents that have already occurred. “It’s pretty well understood that overall in the United States we just haven’t spent the money in terms of maintaining existing infrastructure or increasing capacity to infrastructure in major metropolitan areas in particular,” said Brian Cooper, San Francisco-based managing director of construction for Arthur J. Gallagher & Co.
“We’re just really way behind the curve.” Litigants will turn to design professionals if an incident occurs, say observers. “Design professionals often find themselves liable whenever there’s a catastrophe. When there’s third-party injuries, they’re often brought in, right or wrong, into those types of lawsuits,” said Dan Buelow, Chicago-based managing director of Willis Towers Watson PLC’s architects and engineers division. However, “you would have to show negligence on the part of the engineer or architect,” which is the legal standard applied to all professionals, said Mark Peterson, Chicago-based managing director and design professional practice leader for Aon PLC. A structural collapse is rarely caused by one error or failing, though, said Mike Davis, Philadelphia-based lead underwriter for construction professional liability for Zurich Insurance Group Ltd. It could be a combination of design errors, including poor workmanship, material that reacts in an unexpected way, or “the actual structure being used in a way different than originally contemplated,” he said. “Firms with good internal risk management practices and quality assurance procedures can more effectively manage” infrastructure projects, which will help prevent or mitigate losses, said Kevin J. Collins, a Chevy Chase, Maryland-based underwriter and senior vice president with Victor O. Schinner & Co.
Design professionals “need to have a clear ‘go, no go’ procedure in place to evaluate every project,” said Mr. Buelow. They must decide if their firm is in position to meet the project’s needs, if they have the right clients, if there is a fair and insurable contract, and if it makes financial sense, he said. Robin Kemper, who is president-elect of the ASCE and a senior risk engineering consultant with Zurich North America, said the society recommends that in responding to a request for proposal, a life-cycle cost analysis be included in describing the scope of work for any project over $5 million. “It’s very important that the interchange between owner and designer and contractor is clear, and also clearly documented,” said Jeff Burns, Denver-based partner with JLT Specialty USA, a unit of Jardine Lloyd Thompson Group PLC. The contract should also clearly articulate the generally accepted standard of care for the structure, said Brett Fowler, Farmington, Connecticut-based vice president and program manager for AmWINS Group Inc.’s architects and engineers program. “Without that reference to the standard of care, there really is no benchmark to reference. It’s critical that be included in the contract,” Mr. Fowler said. Design professionals have “to really understand the intended and the potential future use” of the project, said Louis A. Gritzo, Norwood, Massachusetts-based vice president for research and international codes and standards for FM Global. Design professionals may need to report to the authorities if a public safety or health issue is involved and “the situation calls for it,” said Nahom A. Gebre, a Chevy Chase, Maryland-based risk management attorney with Victor O. Schinnerer & Co. In addition, design professionals should be sure “that they’re not coming in as the deep pocket in assets as well as insurance, so that they remain in a claim because of the assets they have to offer,” said Barbara Sable, Rockville, Maryland-based assistant vice president for RLI Corp. Architecture and engineering firms do not need to be afraid of asking insurers questions or reporting potential claims, said David Zell, New York-based vice president of alternative markets for QBE North America, a unit of Australian insurer QBE Insurance Group Ltd. If a disgruntled owner has threatened to file suit, “it’s OK to report that. We’re not going to hold that against you,” he said. PS&S was pleased to be the Architects & Engineers for New Brunswick Public Schools “Paul Robeson Community Themed Elementary School of the Arts”, which opens for classes this week. The 135,000 SF building combines a new addition and renovations to the former school, and is the 5th NJSDA Design-Build school that PS&S has completed over the last several years with Design-Builder Hall Construction Co., Inc.
PS&S is proud to support the Chamber of Commerce Southern New Jersey and its Pinnacle awards reception honoring Philadelphia Eagles Head Coach, Doug Pederson. The event took place in Berlin, NJ on June 19th, 2018. PS&S attended the New Jersey Alliance for Action’s annual Investing in South Jersey Forum on June 22, 2018. PS&S was pleased to support the Alliance for Action and proud to be an active member of the energy coalition community. The event highlighted NJ’s energy master plan which emphasizes the creation of clean energy sources. PS&S is actively working with many of the region’s utility providers and is well positioned, poised and ready to meet the call for the current and next generation of energy initiatives. On June 1, 2018 PS&S architects, Charles Clauser and Stephen Sgro, attended the NJ Alliance for Action: Health Care for the Economy featuring discussion of Hospital Construction and Expansion. The event featured speakers from the healthcare industry who discussed developing new concepts such as establishing healthcare space within retail and residential projects to make healthcare more accessible to its users. Engineering, planning and surveying are three professions that historically have been male-dominated. 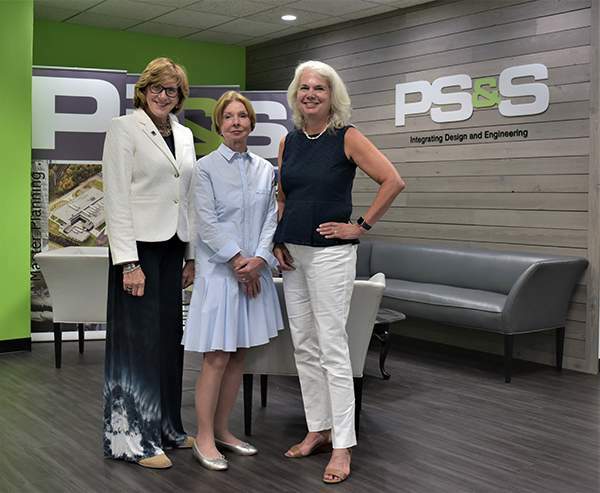 But PS&S, an architecture, engineering and environmental consulting firm based in Warren, is out to change all that with the recent senior-level promotions of Kris McCool, Jarka Vonder and Marge DellaVecchia, each now principals and vice presidents at the company. PS&S’s Chief Executive Officer John Sartor said a culture of inclusion and diversity has been a part of the company since it started in 1962. RE-NJ highlights our latest promotions featured in this summer's newsletter. Recognizing our company’s best is an honor we always love to share in these newsletters. Earlier this year, we announced the promotions of 11 PS&S employees who became senior associates or associates. Now we are thrilled to announce that eight PS&S senior-level managers have become Principals/Vice Presidents or Associate Principals. These eight men and women have all taken different paths to arrive at this moment, but all share several common bonds: Professional excellence in their respective disciplines and an unwavering desire to succeed for our clients and for our company. We are happy to announce the following promotions in our Warren-based family of companies and at our regional offices. Eight senior-level professionals have been recognized for their outstanding work and dedicated service for our clients. All promotions took effect on June 22, 2018. Kris McCool – Kris heads up PS&S’s Energy Services Group where she oversees many of the company’s energy and utility projects. Since joining the company in 1997, Kris has worked on large-scale brownfield development projects, managed our Delaware Valley office and was involved in the launching of three PS&S affiliated companies: PS&S Global, WarrenPro, and AJS Cap. Kris has a degree in Civil Engineering from the University of Rhode Island. Jarka Vonder – As a Director of Surveying, Jarka is responsible for execution and supervision of surveying projects including boundary surveys for residential and commercial development, ALTA/ACSM Surveys, right-of-way acquisition, GIS applications, control for aerial photography, topographic and wetlands survey. She has substantial experience in subdivision design and layout, deed research, and map filing laws. Jarka joined PS&S in 1987 and has an MBA from Farleigh Dickinson University. Marge DellaVecchia - Marge joined PS&S in 2016 and is responsible for client contact, outreach, project liaison and governmental contacts in and around the Delaware Valley region. As a planner she is also able to work with clients to bring together partnerships and creative solutions to a variety of challenges. 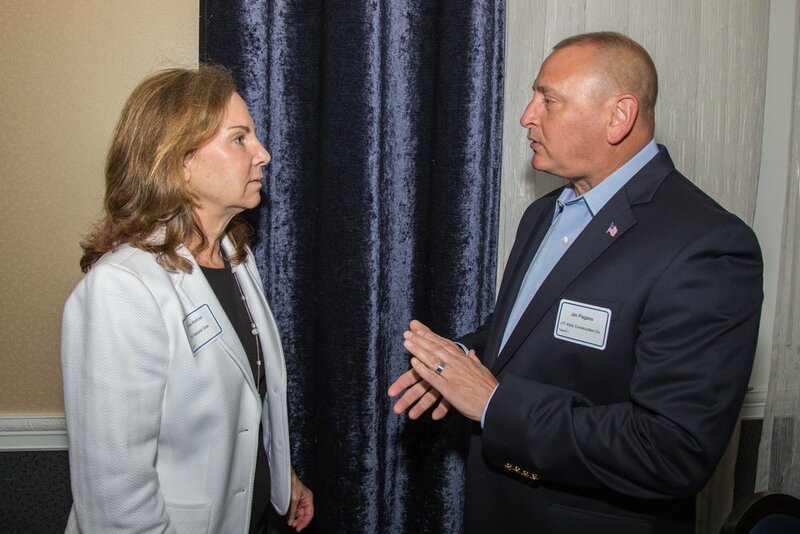 Prior to joining PS&S, Marge worked for Camden County for six years, most recently as the Deputy Director of the Municipal Utilities Authority. Her past experience in the public sector includes positions in state government with the Housing and Mortgage Finance Agency and the Department of Community Affairs, and 13 years in various roles in Cherry Hill Township. She is a graduate of Rutgers University’s Edward J. Bloustein School of Planning and Public Policy. Walter Fedick – Walt joined PS&S in 2017 to lead the PS&S Mechanical, Electrical, Plumbing and Fire Protection group where he manages multiple projects and works with both existing and new clients. Prior to joining PS&S, Walt spent 37 years at Roche, most recently as the Senior Manager of Engineering. He is a graduate of Stevens Institute of Technology, earning three Master’s Degrees and his Bachelor of Engineering in Chemical Engineering. Bill Salmon – Bill joined PS&S in April of 2015 as a Senior Director of Land Development to spearhead the enhanced presence for civil engineering and land development in the Monmouth and Ocean county regions. In his career, Bill has developed expertise in project management, all aspects of engineering design and regulatory permitting with NJDEP, NJDOT, and county and municipal organizations, and has provided expert testimony with municipal and zoning boards. Bill grew up in Edison, NJ, and earned his degree in civil engineering at Youngstown State University in Ohio. Joe Barry – Joe has 37 years of professional experience, and originally joined PS&S in 1986 as a Project Manager in the Civil Engineering department. He held a variety of positions of increasing responsibility, moving from project management to Department Management to Project Controls for the firm. He returned to PS&S in late 2015 after six years with the Port Authority of NY & NJ as Senior Project Controls Manager for the $15 billion World Trade Center Construction Program (WTCC), which included 1 WTC (the Freedom Tower), the 9/11 Memorial and Museum, the WTC Transportation Hub and other ancillary projects. Joe received his B.S. in Civil Engineering from NJIT. Mark Chmielewski – Mark is a senior project manager who joined PS&S in 2002. Mark has a broad range of experience with a variety of building types including offices, education, higher education, mixed use, pharmaceutical research laboratories, manufacturing facilities, industrial and parking structures and multifamily residential/light commercial. He has been involved in all phases of architectural services from planning and programming to design development and construction documentation through construction administration. He also has a strong knowledge of Westchester County, from the geography to the building stock. Mark graduated from NJIT with a degree in Architecture. Chris Gulics – Chris joined PS&S in 2015 and is the company’s Senior Director of Environmental Regulatory Compliance. Chris has over 22 years of experience in management of water, stormwater and wastewater permitting services as well as with the NJDEP Air Quality Management Regulations. In addition to his technical expertise, Chris has a comprehensive understanding of the environmental regulations governing hazardous materials/wastes and their impact on the environment. Chris grew up in Woodbridge and went to Rutgers where he graduated with a B.S. in Environmental Science with a concentration in Water Resources. The NJCU Foundation celebrated Jersey City’s Impact Makers at the first Jersey City Leadership Awards Dinner on June 7th. PS&S’s Ronald Weston and Steve Maravelias joined 150 attendees at Liberty House to celebrate four people whose work has transformed Jersey City: Mayor Steven Fulop, Angelo Genova, Esq. of Genova Burns, Panepinto Galleries Founder Stefania Panepinto and the late Thomas Stanton, Jr.